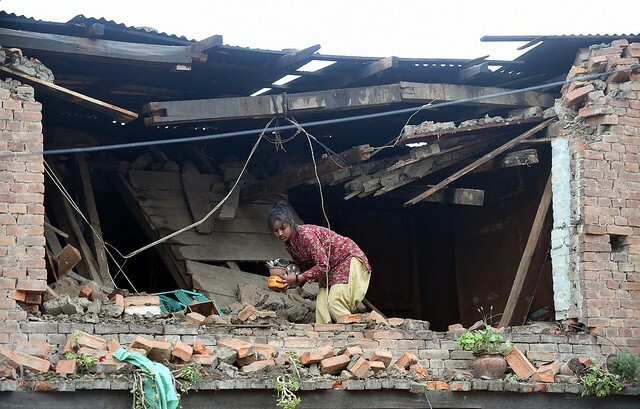 Nepal has still been in the process of recovering after the devastating earthquake of 7.8 magnitude when it was hit by a second one just today! The epicenter of this second earthquake was near Mount Everest in a depth of 10.1 miles and its shock waves were felt even in the Indian capital, Delhi. It was of magnitude 7.1, later upgraded to 7.4. Although, data about the damage is yet unavailable, it is imaginable how much it affected the country still suffering the consequences of the first quake of April 25. The first catastrophe killed over 8,000 people and destroyed entire villages and towns leaving hundreds of thousands homeless. Now the world fears not only for the lives of the Nepalese but also the many doctors, rescue teams and other volunteers who were still in the Nepal helping. According to the few reports that already arrived, the people of Kathmandu were panicked when today’s earthquake reached the city, immediately trying to call their loved ones and rush home. The quake lasted for over one minute and probably caused further damage but hopefully not more deaths. The climbing expeditions of camp Everest were called off today for the following months. Unfortunately scientists are predicting more trouble ahead. He estimates, that we can’t exclude even magnitude 9 earthquakes, not only in the region, but throughout India. You can also help the recovering country in many ways. One of the most noble causes is helping the children who lost their families and homes. You can donate to the Nepal Earthquake Children’s Relief Fund of the Save the Children charity. Even the smallest amount counts! A terrible tragedy occurred in Nepal recently. It is believed that more than 5.000 died and 15.000 people were wounded during the catastrophic event. The whole dreadful issue did not only kill people and destroyed many beautiful century-old buildings and squares, but also changed dramatically the shape of the Himalaya. 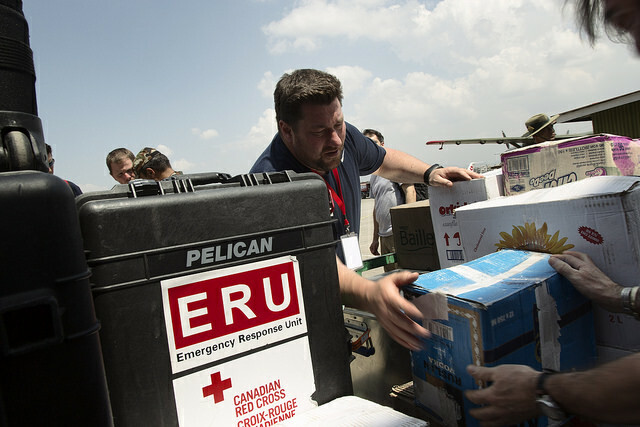 Currently nations like the United States, India, China, most European Union members, South Africa and other developed nations aid the country with supplies, medical teams, rescue teams, workers and more due to the country’s situation. The highest peak on the planet (Mount Everest) has gravely changed, becoming 2,5 centimeter shorter. The country did not faced such tragedy since 1934 and the magnitude of the earthquake was 7.9. Nepal is a poor yet very beautiful country known for its culture and beautiful natural landscapes. It is bordered by China in the north and India on south and west. The capital of the country is Kathmandu and Nepal itself is known for being a center of both Buddhism and Hinduism. While the Kathmandu Valley is a UNESCO Heritage Site, unfortunately it faced almost complete destruction during the earthquake. The cultural heritage of Kathmandu Valley is characterized by seven groups of monuments and buildings which display the full range of historic and artistic features for which Kathmandu Valley is world famous. The seven include the Durbar Squares of Hanuman Dhoka (Kathmandu), Patan and Bhaktapur, the Buddhist Stupas of Swayambhu and Bauddhanath and the Hindu temples of Pashupati and Changu Narayan. Historically, the Kathmandu Valley and adjoining areas were known as Nepal Mandala. Until the 15th century, Bhaktapur was its capital when two other capitals, Kathmandu and Lalitpur, were founded. During the Rana and Shah eras, British historians called the valley itself “Nepal Proper”. Today, Kathmandu is not only the capital of the Federal Democratic Republic of Nepal, but also the headquarters of the Bagmati Zone and the Central Development Region of Nepal. Mount Everest is a mountainous area which in South Asia and is known for separating the Indo-Gangeatic Plateau from the other Plateu (the Tibetan Plateau). Here lies the highest peak of the entire planet, Mount Everest. The Himalayas have profoundly shaped the cultures of South Asia. Many Himalayan peaks are sacred in both Buddhism and Hinduism. The Himalayas are bordered on the north by the Tibetan Plateau, on the south by the Indo-Gangetic Plain, on the northwest by the Karakoram and Hindu Kush ranges, and on the east by the Indian states of Assam and Arunachal Pradesh. The entire horror started in the morning of April 25, 2015. The earthquake triggered a huge avalanche on the Everest which killed at least 20, making it the deadliest day on the mountain in history. 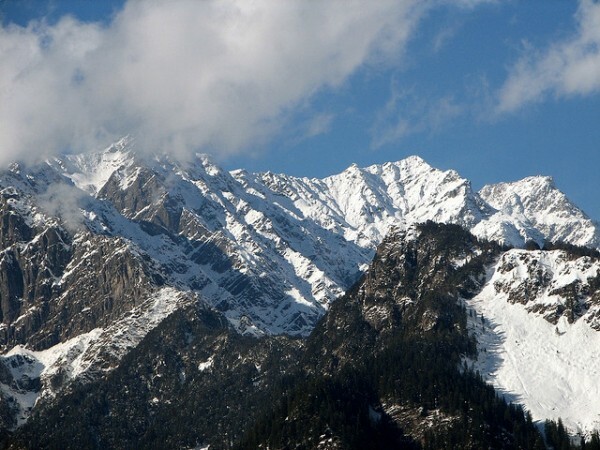 It triggered another huge avalanche in Langtang valley, where 250 are now missing. Continuing aftershocks appeared throughout Nepal, with one shock reaching a magnitude of 6.7 on 26 April at 12:54. The country is at continuing risk of landslides as well. In spite of the deaths on the Everest, the Nepalese government plans to re-institute the mountain route next week. 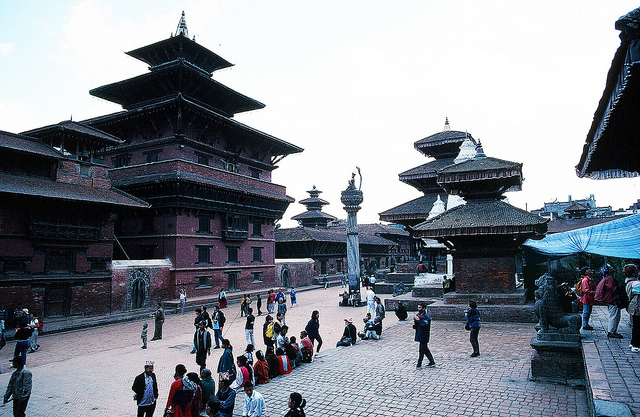 Because of Nepal’s lack of modern urbanization, geology and weak architecture it was easily devastated. However, the country is starting to recover slowly, but surely. There are, however, mountain villages that are in danger. Close to the earthquakes focal point, villages are almost cut off from everything. There are no known crucial aid for most of them because of many reasons like landslides and lack of information about the villages location. One of these villages is called Keura. The roads in Nepal will only reach to the Himalayas and they are extremely dangerous and devastated. The village of Keura is very destroyed and almost completely vanished, most people are highly injured and sick and they don’t have no medical conditions. However there is an aid group that is on the way to Keura despite difficulties ahead of them. According to the team, the road to Keura and the mountainous villages is a great challenge for them. Because of the conditions and landslides along the road, rescue team cars have little to no chance to reach the destinations. Nevertheless, they struggle to reach the destinations and they will do their best for tor them. According to a recent statement from another rescue team, nine people were rescued last friday from the town of Gorkha which lies about 140 km from the capital city of Nepal. They said that those people lacked food and water and were almost totally helpless, but still they were brought back to Kathmandu with a helicopter. It was also reported that 22 stranded people were brought back to Kathmandu also on helicopter which 3 of them were Americans. 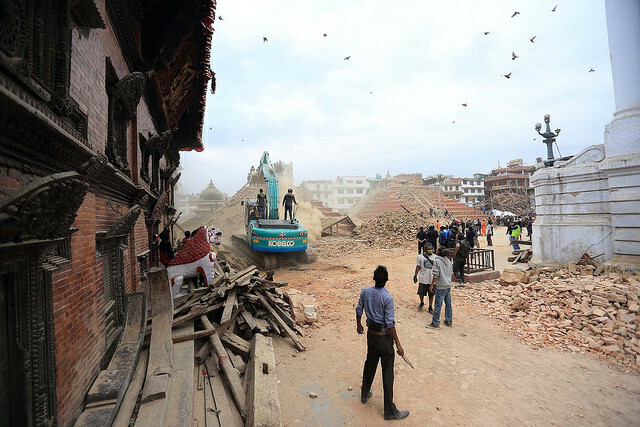 In Kathmandu the rescue operation is ongoing and the rescue teams still continue to save and help more survivors. According to the latest announcement by the Nepalese government, the earthquake killed 6,621 people and wounded about 14,040 and 72 in India and 25 in China were also reported dead because of the aftershock. Even if the devastation was highly catastrophic, the team has no intention on giving up saving every people they can and the government even uplifts those who gain permission on climbing the mountain to continue their plan without hesitation.